Price includes: Supply bag (individual color packet, safety glasses, white t-shirt and goody bag), as well as finisher medal. Full breakfast available by donation supporting the 8th grade class of BV. Course Description: Approx. 2.5 mile family friendly, flat course on mixed surfaces (grass, dirt, and pavement) with three color throwing stations. Dogs are welcome on the course. Please keep them on leash and bring bags for waste. Breakfast 8:30-10:30 by donation supporting the 8th grade class trip. Concessions will be sold and water is available. Pre-Race Packet Pickup will be on 5/3/19 from 1-4pm at Buena Vista 3320 Academy Dr SE Auburn, WA 98092 inside the gymnasium. 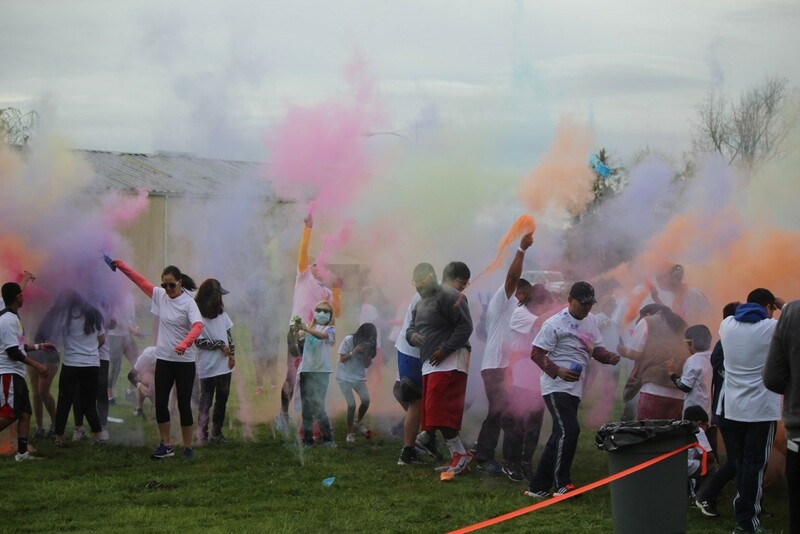 On-site Registration 5/5/19 starts at 8:00 a.m.
Purpose of Race and Allocation of Funds: Run2Educate Color Run exists to raise money for health and safety of students at Buena Vista SDA School. Funds from the 2019 race will go toward renovating our gymnasium to benefit sports, PE and community programs. Our goal is $25,000. Please consider donating or contact run2@educate@gmail.com to become a corporate sponsor.